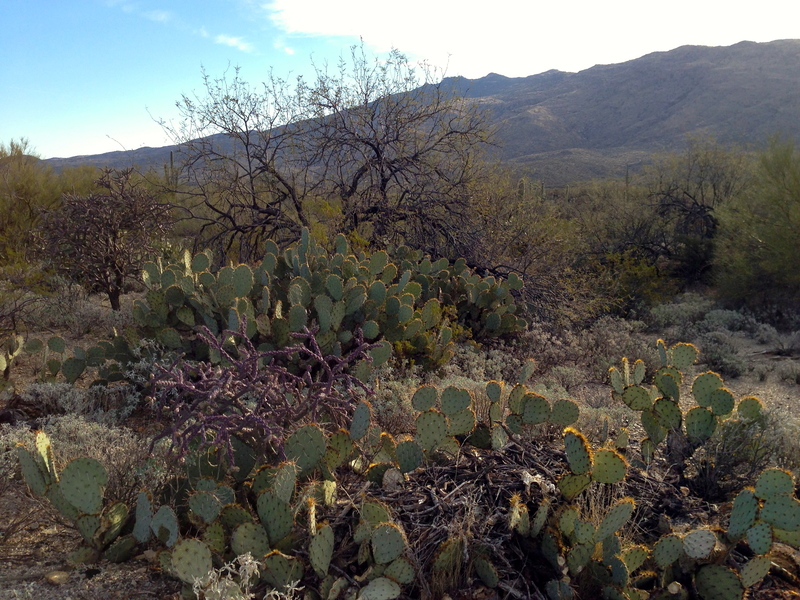 It was the last day in Southeast Arizona and all weekend all I could think about was Saguaro National Park. We had been there before and I was eager to return. I love the open feeling of the park and there is just something about it that makes it feel accessible. Perhaps it’s because there are no high rock walls surrounding me or maybe it’s because it feels like it’s just part of the neighborhood. Locals are often seen going for a morning walk or run or just cycling through it and I suppose they do this pretty much every day before they head over to Starbucks. Saguaro National Park is actually in two different sections and we were at the east section or Rincon Mountain District. 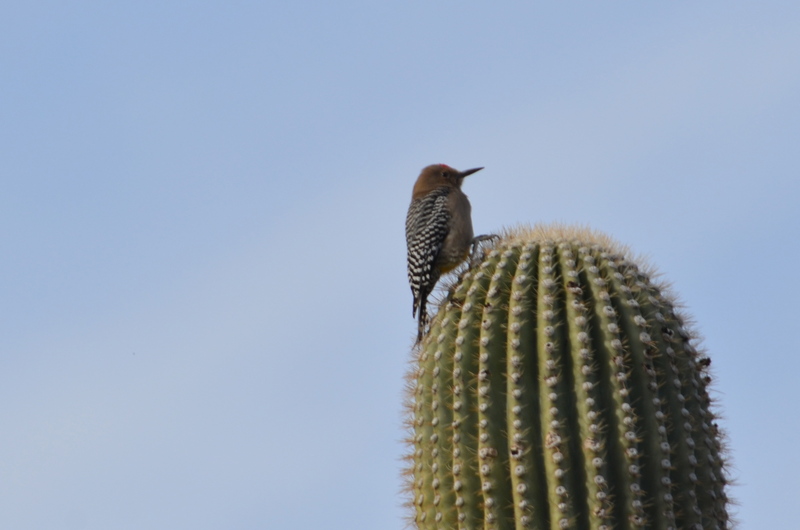 We were there to do some birding before we caught our flight back to Salt Lake City and besides just looking for some more birds, I wanted to commune with the Saguaro cacti. 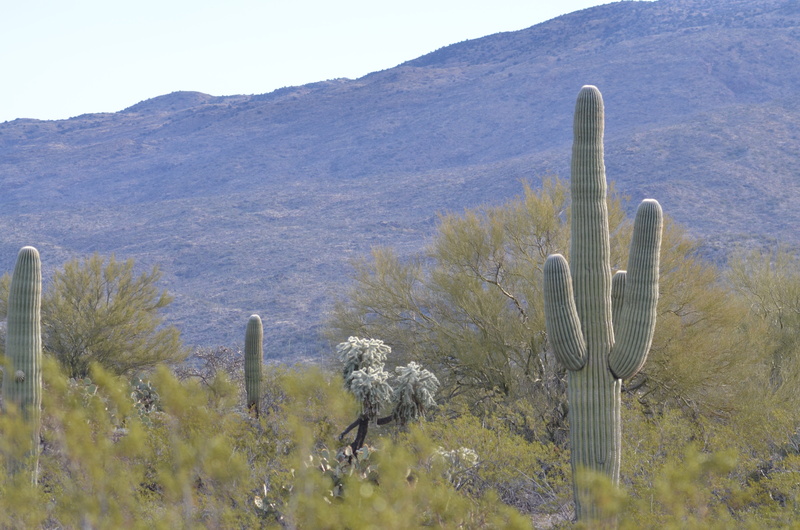 I’d venture to guess that when most people think of Arizona or even the Southwestern part of the U.S. they imagine the Saguaro cactus—the mascot of the Sonoran desert. Besides, it was President’s Day in the U.S and what better way to spend the holiday than at one of this country’s National Parks? 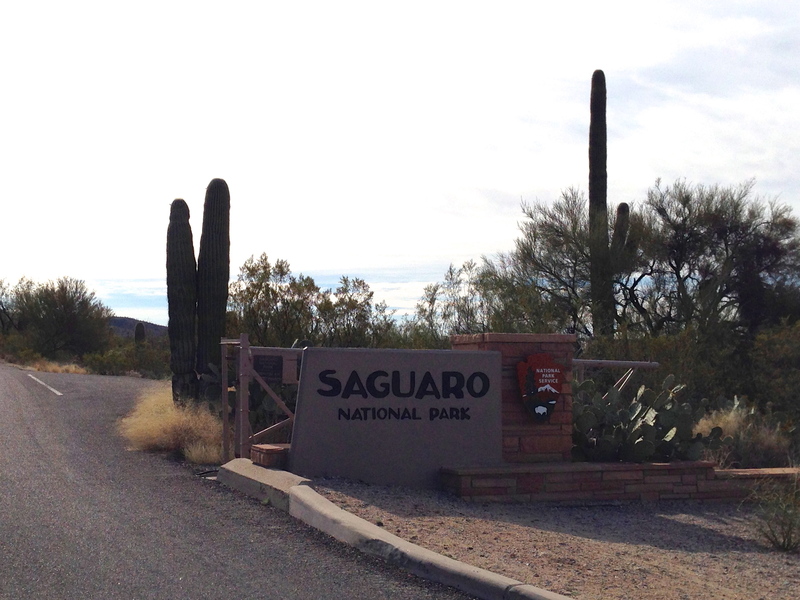 Here’s a little photo essay of our morning at Saguaro National Park. I was a little sad to be leaving Tucson. It’s definitely high on my list to live when we retire. (It’s #2, in fact. Panama is #1 right now.) Our weekend in Southeastern Arizona was a perfect respite from the awful winter we had been having in both Salt Lake City and in Calgary. Finding the Mountain Plovers was very exciting, the visit to Patagonia Lake State Park was certainly a highlight and the Sandhill Cranes at Whitewater Draw was absolutely memorable. We’ll definitely have to return, if not just to find the Rufous-winged Sparrow. 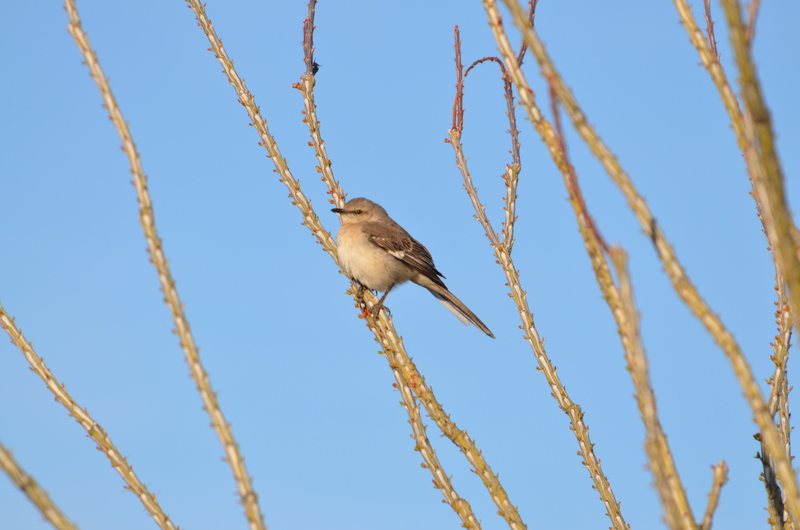 Below is a list of all the birds we saw over the weekend. But before you start looking through that list, I just wanted to let you know that the next post you see from me will be in Ecuador! We’ll be birding in Ecuador, focusing really only on two areas. I’ll fill you in more about it next week. Trips with 1 or 2 lifers are exciting enough, but 11 must be off the scale! It is a beautiful place! I just loved the bridled titmouse (I may have already told you that) and I like saying phainopepla. Ecuador is very high on Tim’s list of places to go birding. Drink lots of water! Can’t wait for your report! Hi Gayle! So good to hear from you. We are SO excited about Ecuador and we’re really only going to a limited area (I like the slower pace that way.) Stay tuned! Glad to hear you had a great time. 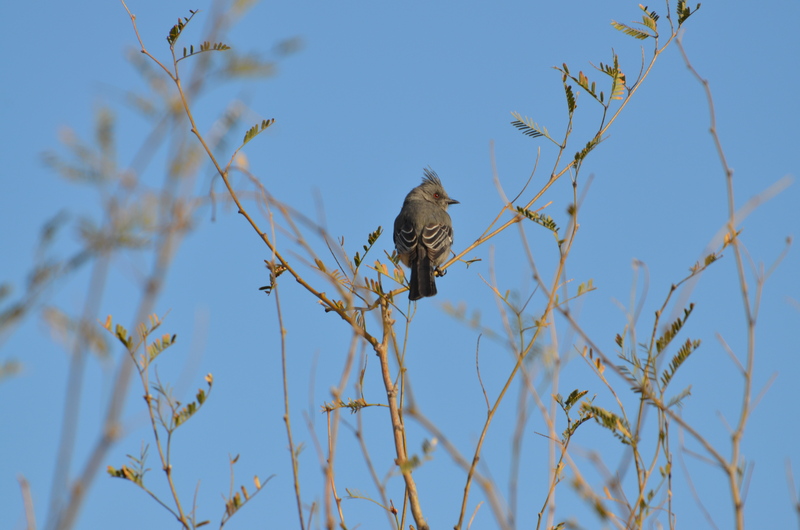 We had some really great time birding in SE Arizona also. Can’t wait for your next blog on Ecuador. It’s a great place for retirement also. That’s quite a good list. Jealous of your trip to Ecuador, you should pick up “just a few” lifers there. Have a wonderful (and safe) trip. Thanks Sue! You’re right. I suspect I’ll see loads of lifers in Ecuador. Can hardly wait! That’s a prodigious list Lisa! 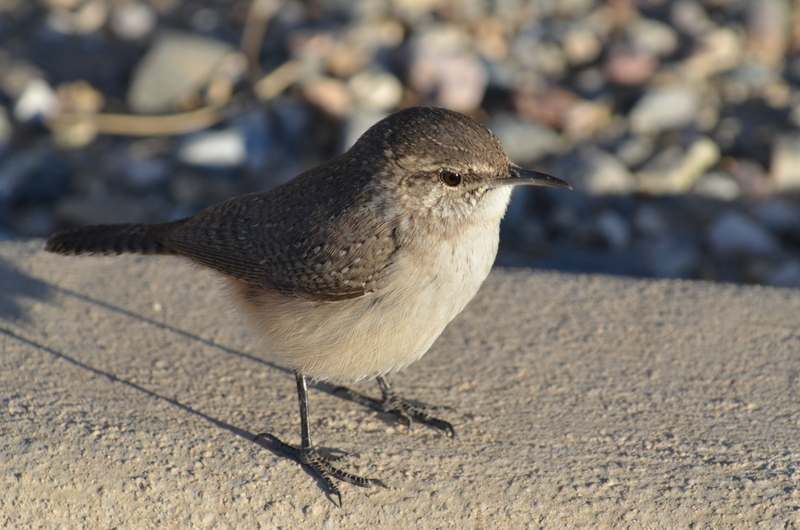 Sharp shots too; you especially rocked that Rock Wren. I agree, you must return for the other Sparrows, and also so next time I can meet up with y’all! Thanks Laurence! And of course, next time we’re in the area we’ll have to meet up. Goodness, you must have sharp eyes. Thanks Zest. Yes, always very exciting.